With a diabolical glint in his eye, a razor-sharp edge to his voice, and an almost palpable delight in playing the villain, Cyril Ritchard was the quintessential Captain Hook in the musical Peter Pan. Ironically, for a devout Catholic who attended church on Sunday without fail, Ritchard is best remembered for playing a bad guy. Born in Sydney, Australia, in 1897, he was raised and educated there, first studying medicine but eventually being drawn to the stage. In 1917 he made his modest stage debut at Her Majesty’s Theatre as a member of the chorus in The Waltz Dream. His first prominent role was that of the Satyr in the musical The Pink Lady, based on a French farce. 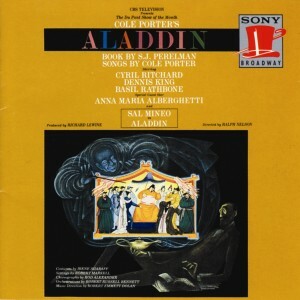 In 1919, he began his long collaboration with Madge Elliott in the musical Going Up, and as a team they would perform in numerous musicals – mainly in Australia and London. 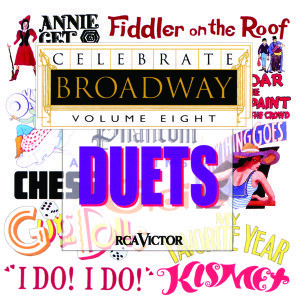 Having performed together for a decade and a half, they married in Australia in 1935. Elliott appeared rarely on Broadway, but Ritchard would become a regular presence there, both as a performer and a director. His first sally into the Great White Way took place in 1925, when he played in the revue Puzzles of 1925, alongside Walter Pidgeon. Also in 1925, Ritchard and Elliott made their London debut in the musical Bubbly; they would continue to perform in musical comedy as a team in London and Australia into the early 1950s. In 1942 Ritchard had his first nonsinging role, starring as Algernon in a production of The Importance of Being Earnest directed by John Gielgud. Ritchard returned to Broadway in a 1947 revival of Congreve’s classic Restoration comedy Love for Love, staged by and featuring Gielgud. 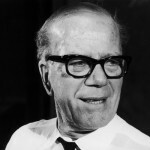 Ritchard frequently came back to Broadway for several years – appearing in Make Way for Lucia (1948); The Relapse (1950); Buy Me Blue Ribbons (1951); Jane (1952); and The Millionairess (1952), in which he starred with Katherine Hepburn; as well as directing Misalliance (1953) and sketches in John Murray Anderson’s Almanac (1953). 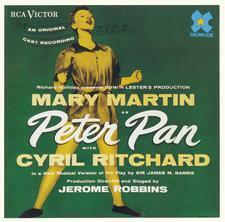 Then came what would be his signature role, Captain Hook in the original Broadway production of the musical Peter Pan (1954), with Mary Martin in the title role. Barrie’s original play Peter Pan had been one of the first dramatic productions that Ritchard saw as a child, and the deliciously villainous part seemed tailor-made for him. He won the Tony® for Best Featured Actor in a Musical and went on to perform the evil captain on several television broadcasts. 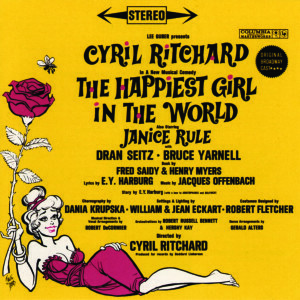 Directing and playing eight characters, Ritchard returned to Broadway in The Happiest Girl in the World (1961), a musical based on Aristophanes’s comedy Lysistrata. 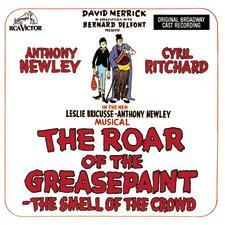 He then focused on plays, both as an actor and a director, returning to musical theater in The Roar of the Greasepaint – The Smell of the Crowd (1965), starring alongside Anthony Newley and earning a Tony® nomination for Best Actor in a Musical. In Sugar (1972), after the movie Some Like It Hot, he starred opposite Robert Morse and Tony Roberts, and in 1975 he was in the revue A Musical Jubilee. His love of the stage carried over into opera, which led to his directing some productions at the Metropolitan Opera. He also made many appearances on American television. He had a heart attack in 1977 while performing in a touring production of Side by Side by Sondheim, dying shortly thereafter.